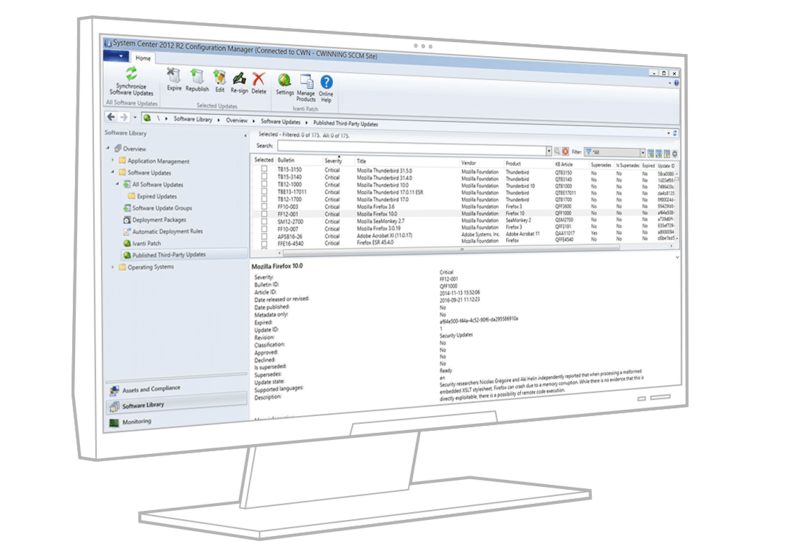 Patch for SCCM Easily patch third-party apps from the SCCM console with no additional infrastructure or training. The best source for Patch Tuesday. We've got your Patch Tuesday challenges covered. See how we minimise risk and keep you up to date while keeping costs low. Patches are like seat belts for your IT users. Learn how to deploy without hassle. We've always been dedicated to staying protected. Now, with Ivanti Patch for SCCM, it doesn't take nearly as much time. Patch apps the right way. Get the right tools and expertise. The more apps you have, the more time you spend keeping systems up to date. Patch for SCCM reduces risk and gives you back the time you need to support core business goals. Update even the most difficult apps easily, including Java and Google Chrome. Download patch information and distribute patches for hundreds of applications automatically, including those most often attacked. Instal quickly to control all patches from SCCM. Reduce risk with comprehensive app patching. Edit and tailor patches to meet company policies. Verify patch delivery using SCCM reports. 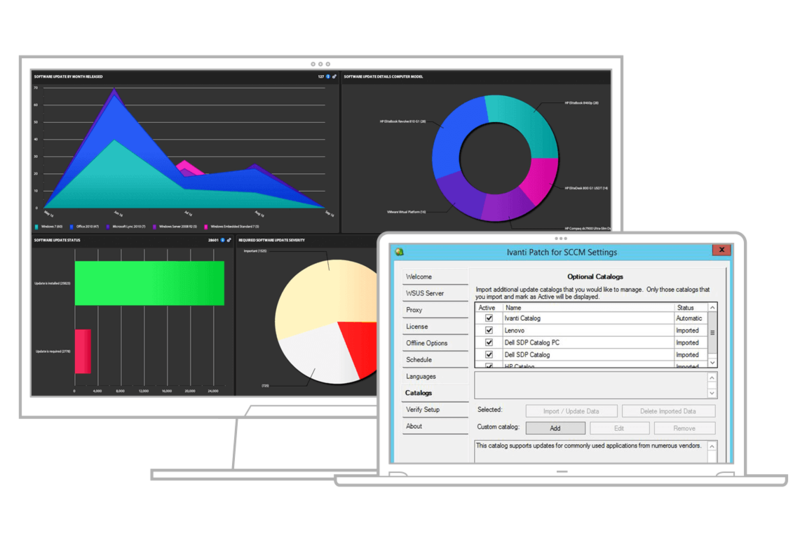 Optional, role-based dashboard reports also provide insights to help improve security. Increase security with ease. Get more out of SCCM. Cyber attacks make headlines every day—and those are just the ones you hear about. You can’t afford to ignore or struggle with patch management. So get an easier way to secure your network. Get the peace of mind that comes with compliance. Get Patch for SCCM. We're here to help with all your Patch for SCCM questions and get you to the next step. Want better patching for your SCCM environment from within the tool you know well? Get your quote today.